Starting prices for packages, as well as package components, are listed below. 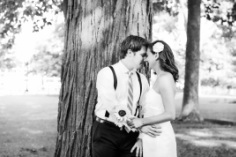 Lindsay Laehn Photography strives to accommodate individual needs. With that said, if you do not see specific package components of desire below, or beginning prices are not within your budget, please don't hesitate to contact me with specific requests. It is my hope that we can custom design packages to fit specific desires and needs. Please note, with the exception of an additional WI state 5.5% tax charge, once purchasing a package there are no additional fees unless you desire to purchase professionally printed images from a professional printing lab utilized by Lindsay Laehn Photography. With that said, purchasing a package will include all high-resolution digital images on a disc at no additional charge, allowing you to make as many copies as you'd like from a printing location of your choosing (i.e. Walgreens). In addition to printing your photos at a printing location of your choosing, you may wish to have some images printed professionally at a professional printing lab. The benefits of professional printing are: enhanced quality, professional texture and overall picture quality. Professional prints can be purchased through the "Client Proofing" tab above. Here you can choose from print sizes: 4x6, 5x7, 8x10, 11x14, 16x20, 20x30, 24x36 as well as bulk wallets, card inserts (perfect for thank you or holiday cards) and different sized canvases. The Standard Maternity Package begins at $180. Packages differ in ranging from 1-2 hour portrait session, 10-30 of the best edited and retouched high-resolution digital images, full printing authorization, an online password protected proofing gallery with the ability to order professional pictures and canvases from a professional printing lab and a location of your choosing within 60 miles of 53703. Interested in a package promotion to include maternity and your newborn's first year of life? Please read below under the 1st Year of Life Collections. Three different packages are offered for Newborn Collections and begin at $150. Packages differ in ranging from 1-3 hour portrait session, 10-35 of the best edited and retouched high-resolution digital images, 0-3 different custom designed birth announcements, as well as amount of professionally printed photos included. All packages include full printing authorization, an online password protected proofing gallery with the ability to order professional pictures and canvases from a professional printing lab and a location of your choosing within 60 miles of 53703. The 1st Year of Life Collections begin at $450. Three different packages are offered and range from 3-5 different sessions (i.e. maternity/newborn, three month, six month, nine months, one year), 0-3 different custom designed birth announcements, 10-30 favorite images from each session on a disc with full printing authorization, an optional first year of life custom designed photo album, an online password protected proofing gallery with the ability to order professional pictures and canvases from a professional printing lab and a location of your choosing within 60 miles of 53703. Three different packages are offered for Children Collections and begin at $120. Packages differ in ranging from 1-2 hour portrait session, 10-25 of the best edited and retouched high-resolution digital images and a video film of all photos set to custom music selection for sharing with others via email. All packages include full printing authorization, an online password protected proofing gallery with the ability to order professional pictures and canvases from a professional printing lab and a location of your choosing within 60 miles of 53703. Three different packages are offered for Family Collections and begin at $160. Packages differ in ranging from 1-3 hour portrait session, 10-30 of the best edited and retouched high-resolution digital images and 15-minute solo portrait sessions for up to four family members (i.e. individual children). All packages include full printing authorization, an online password protected proofing gallery with the ability to order professional pictures and canvases from a professional printing lab and a location of your choosing within 60 miles of 53703. Three different packages are offered for Senior Class Portrait Collections and begin at $150. Packages differ in ranging from 1-3 hour portrait session, 10-40 of the best edited and retouched high-resolution digital images and complimentary family/sibling session. All packages include full printing authorization, an online password protected proofing gallery with the ability to order professional pictures and canvases from a professional printing lab and a location of your choosing within 60 miles of 53703. *Note, professionally printed wallets and individual prints are available for purchase through "Client Proofing" when viewing your online password protected proofing gallery. Three different packages are offered for Engagement Collections and begin at $150. Packages differ in ranging from 1-3 hour portrait session, 10-30 of the best edited and retouched high-resolution digital images, 0-3 custom designs of save-the-date announcements and amount of professionally printed photos included. All packages include full printing authorization, an online password protected proofing gallery with the ability to order professional pictures and canvases from a professional printing lab and a location of your choosing within 60 miles of 53703. Four different packages are offered for Wedding Collections and begin at $650. Packages differ in ranging from 3 hours-all day sessions, guaranteed 75 digital images-endless number of the best edited and retouched high-resolution digital images, amount of professionally printed photos included, pre-consultations with photographer, 0-3 custom designs of thank you cards, custom designed bride & groom photo album and parent albums. All packages include full printing authorization, an online password protected proofing gallery with the ability to order professional pictures and canvases from a professional printing lab and a location of your choosing within 60 miles of 53703. Three different packages are offered for Loyal Companion Collections and begin at $120. Packages differ in ranging from 1-2 hour portrait session, 10-25 of the best edited and retouched high-resolution digital images and number of loyal companions in session. All packages include full printing authorization, an online password protected proofing gallery with the ability to order professional pictures and canvases from a professional printing lab and a location of your choosing within 60 miles of 53703.